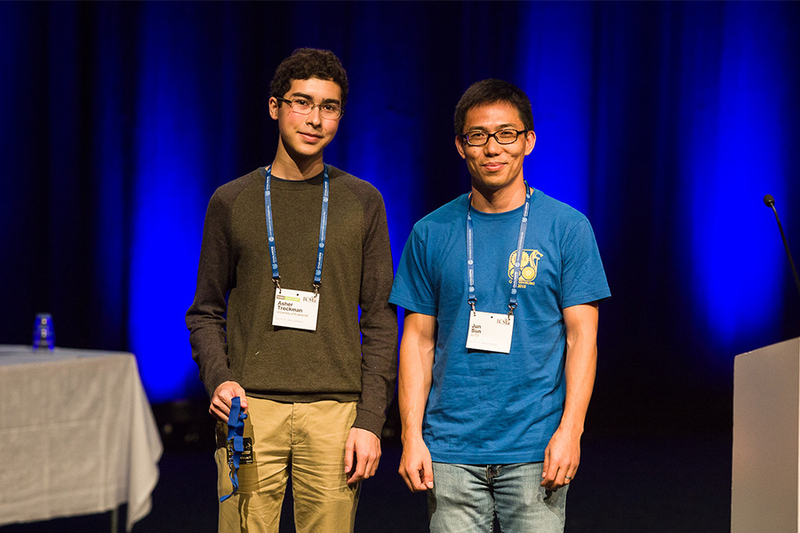 Asher Trockman, an undergraduate in Computer Science at the University of Evansville and a 2017 member of Carnegie Mellon's Research Experiences for Undergraduates in Software Engineering (REUSE) program, received this year’s top undergraduate prize in the Student Research Competition at the International Conference on Software Engineering (ICSE) in Gothenburg, Sweden. The research was conducted while Trockman was a student in the REUSE program during the summer of 2017, along with Shurui Zhou, Christian Kästner, and Bogdan Vasilescu at the Institute for Software Research and the Socio-Technical Research Using Data Excavation Lab (STRUDEL). The resulting paper, "Adding Sparkle to Social Coding: An Empirical Study of Repository Badges in the npm Ecosystem", was published in the technical track at ICSE and was also presented as part of the ICSE Student Research Competition. The research examined the reliability of GitHub repository badges for inferring various qualities of open source projects. More details can be found in this infographic.